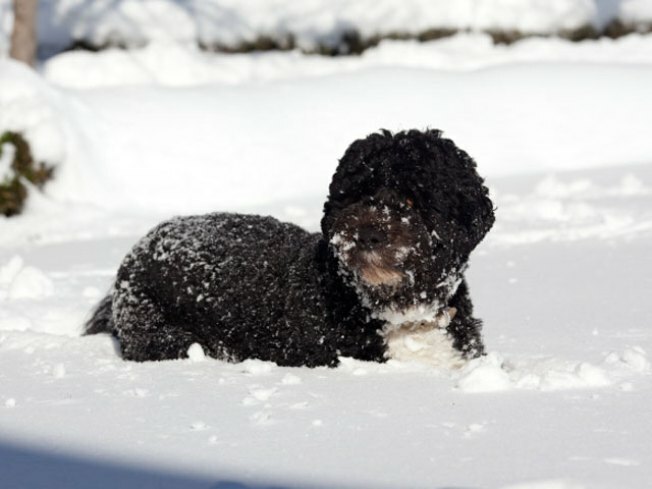 Bo Obama plays in the snow at the White House. The White House's playful pup was photographed yesterday just hanging out, legs deep in snow, in the Rose Garden. 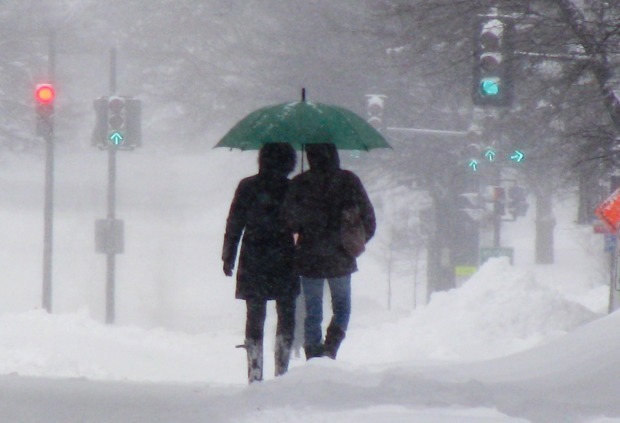 About 17 inches fell on the District last weekend and now residents, including Bo Obama, are getting ready for up to 18 inches more. The usually green White House yard is blanketed in white, except for a cute little ball of black fur running around in it. 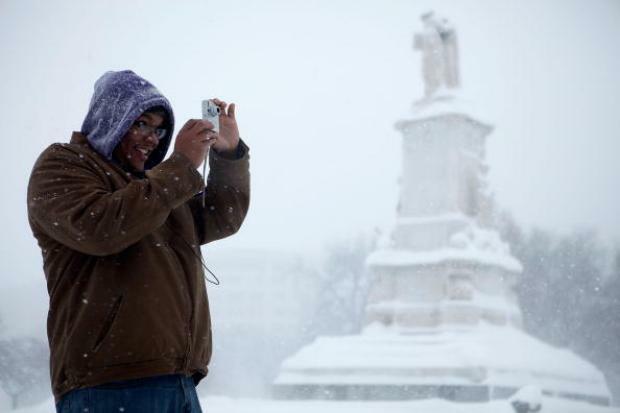 Bo, was also photographed last December for D.C.'s first big snowfall of the season. With all this attention, Bo could easily get some winter sport endorsements.